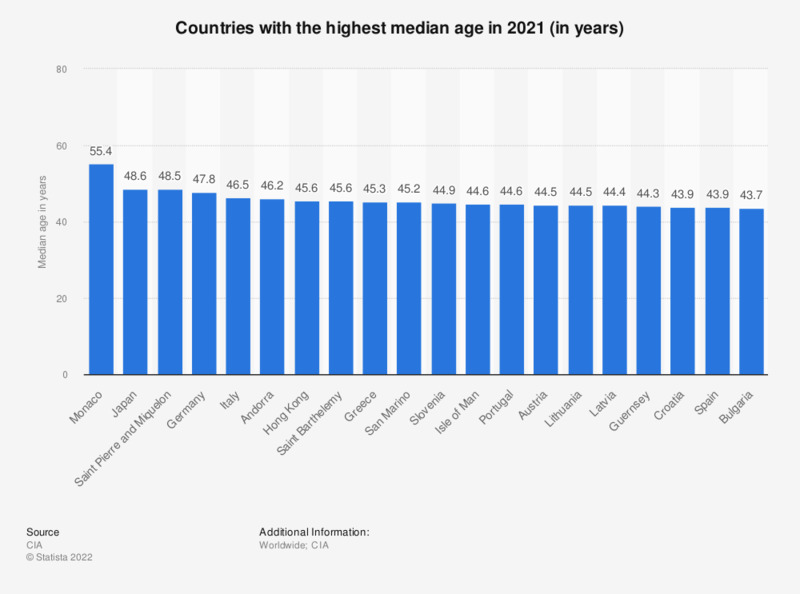 The statistic shows the estimated median age of the population in the top 20 countries in 2017. The median age is the age that divides a population into two numerically equal groups; that is, half the people are younger and half are older. It is a single index that summarizes the age distribution of a population. The median age of the population in Monaco in 2017 is estimated to be 53.1 years. *According to the source, all data are estimates.